Then the next day, he sent me screen shots of a conversation that took place between him and his friends on Twitter. Before I share those tweets, I just want the readers to know that these young men’s ages range between 18-21. 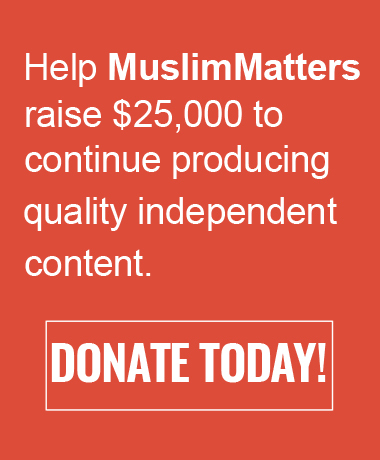 They are raised in practicing Muslim families by parents whose second home is the masjid. They are well-mannered, polite and the kind of boys you would want your son to be friends with. A few more comments from different young men. The conversation continued, diving head-first into the complex connections between faith, free agency, external modesty and internal righteousness, but this is not an article about any of those things. Nor is this about the obligation of hijab. Hijab is an obligation— that is not up for discussion. Rather, this piece is about how forcing hijab on our girls is a damaging mistake that fails to meet its end goal- a woman’s ownership of her spiritual submission to Allah. From west to east, I have seen girls suffering spiritual damage when they are forced to wear hijab. We’ve probably all met a girl or two who was forced to wear hijab and consequently resented it. When I was in high school, there were only two students who wore hijab. One was myself, the other was a girl would take off her hijab in school and would wear shorts, mini skirts. That was my first interaction with a girl who was forced to wear hijab. Since then I have met countless others, and most of them remove it at their first opportunity. I live in the Middle East now, and while hijab is not mandated by the government in Qatar, it is still a symbol of family honor. When enforced by family members, the result is the same. Girls I have spoken with hate covering and not only remove hijab as soon as they get their first opportunity to do so, but also dress less modestly than the girls who are not forced into it. There are also girls who are certain about their faith and are convinced that wearing hijab is the right thing to do, but tackling inner temptations can take time. It is not easy to wear hijab, especially in this time of so much emphasis on physical beauty and appearance. Many of us can identify with the constant social media bombardment. In either case, when a girl resists, she is judged and looked down upon. Hijab is forced. She may wear it to school but she ends up resenting it. A girl in doubt, becomes even more doubtful as she starts to perceive the whole religion of Islam from the lens of “being forced” with no room for questions or discussions. Consequently her conflicts intensify and her confusion turns into bitterness and resentment towards the faith. Hijab itself is not the issue, rather it is the forceful approach that starts the damage. Sometimes a girl is not convinced of her faith yet. She may have questions that she is afraid to ask. She may have doubts that need to be addressed and discussed wisely. But, while she’s struggling with internal conflicts and confusions, she’s forced to wear something that’s not only spiritually symbolic but takes a lot of strength to put on. Islam or Islamic rulings should not and must not be shoved down someone’s throat. The ideal “sunnah way” of spreading this faith is through teachings, and patience and wisdom. The girls need to understand their religion first, build a connection with their Lord first, love their faith and their Creator, only then they will be ready to “hear and obey”. Our youth, including preteens, are struggling to hold on to their faith, even the ones in Islamic schools. Some of them are even secretly atheist or agnostic, grappling with basic theology while we debate dress code. Perhaps it’s because absence of hijab is obvious, but absence of faith is not. There is so much emphasis on the ritual of hijab that we totally forget: every ritual starts with spiritual submission, and that spiritual submission stems from conviction. Conviction is the root of submission, and submission is the basis for ritual. When we have not nurtured the roots, and we instead focus on the branches, how are we expecting a healthy tree to be sustained? The whole point of Islamic Schools is to have a platform for our future generations to learn their religion and become proud Muslims, not “suppressed” Muslims. 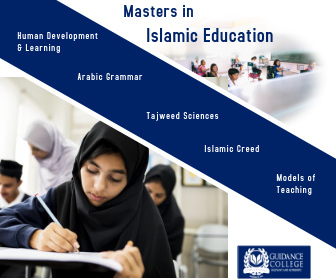 Islamic schools should instill proud Muslim identity in students first, and that for sure cannot be achieved by forcing them to do something they don’t fully understand or may not be ready to adhere to. Dare I say, I would rather our Islamic schools produce die-hard Muslimahs who are completely convinced of their faith – with or without hijab – rather than girls who wear hijab but are doubtful of Allah and Islam. I have counseled both type of girls. And the ones who resent their faith are the ones who were almost always forced to wear hijab. As a youth counselor, I’ve seen the type of spiritual crisis that fixation from others on hijab causes. Hijab in of itself may not even be the problem, if we can learn to handle this issue wisely and patiently, giving our girls room to question, to learn, to understand and then to absorb. It doesn’t help that the Muslim culture seems to have an unhealthy fixation on hijab, making it equivalent to the foundation of Islam. Girls in hijab are automatically assumed to be pious and righteous, and girls without it are automatically assumed to be failing in their faith. There are copious amounts of memes that perpetuate this. The status of her hijab doesn’t make a woman fall in or out of Islam or its core beliefs. Faith is built on six principles- belief in Allah, the angels, holy revelation, the messengers, the Day of Judgment, and the Qadr of Allah. For whatever reason, a Muslim woman can believe in all of these things, and yet not be wearing a hijab. Conversely, a woman can wear hijab while believing in none of these things as well. It’s the same for the five pillars of Islam – Declaration of Faith, Hajj, Charity, Prayer, and Fasting. A Muslim woman can be actively practicing all of these without wearing hijab on a daily basis – and while she absolutely should be wearing a hijab, her failure to do so does not cancel out her faith or her practices that stem from that faith. Hijab is a manifestation of faith, not the sole indicator, and certainly not a replacement for it. Forcing a girl into hijab doesn’t mean she’s a “good Muslim girl” and parents can call it a day. The sooner we understand this, the sooner we can start focusing on the inside of our girls, so their faith can shine through to the outside. This obsession and fixation on hijab has left many of our Muslim sisters handicapped in spiritual development, as well as socially isolated from and within the Muslim community. We have all experienced it. I was once a part of it– “The Niqaabi Cult”, who felt entitled to judge any sister who wasn’t covered or wasn’t “covered enough”. We excluded them. There is a “Hijabi Cult” too, and while not every Muslim woman in hijab or niqab is guilty of discriminating against those who don’t, the cultural fixation on a woman’s dress-code being an indicator of her social worth is certainly a contributing factor in its existence. Some may argue that if Hijab is not mandatory in Islamic schools and some girls don’t wear it, then it could encourage the girls who do wear it, to remove it. I would say that our teachers should be trained to handle such situations wisely. They must focus on building and celebrating the strength of those girls who choose to wear hijab, and encouraging and building the strength in those who feel too weak to wear it yet. If teachers know which girls aren’t ready yet, they have the opportunity to discover why. Is the issue with her belief and conviction? Is the issue with her understanding of this ritual? Is she convinced, but just needs some time and room for spiritual growth? 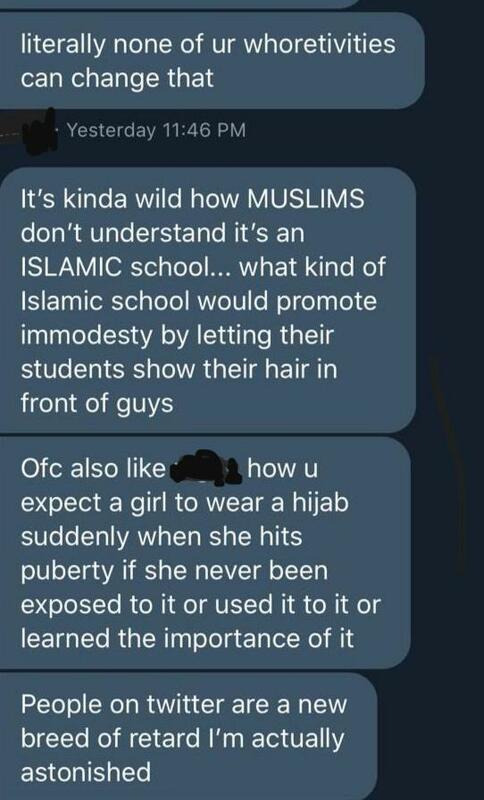 Being able to identify and remedy such problems is a more sensible approach to helping girls grow into hijab, versus assuming there is no problem because they’re all mandated to wear one with the uniform anyway. Teachers can take the an opportunity to prepare our girls to step into the real world, where many Muslim women don’t wear hijab. Our girls will be challenged from all fronts to keep their hijabs on from both Muslim and non-Muslim influence. All the more reason for an Islamic school to be the training ground for our girls to grow into, and solidify their commitment to hijab so that they’re better prepared for the real world. Compare this to a situation where hijab is worn without meaning, and taken off with the rest of the uniform once the school day is done. Wearing hijab is not easy for many women, no matter how early one starts to wear it or how late. It doesn’t get easier with age and time either. For some it is harder than the others, and this does NOT reflect a person’s state of iman. In fact, the harder it is for one to wear hijab, the more rewarding it will be for them to do so. I pray to Allah that we become the believers who help one another with right knowledge, patience, wisdom, sincerity; and not the ones who judge other believers and feel entitled in their religious-superiority. 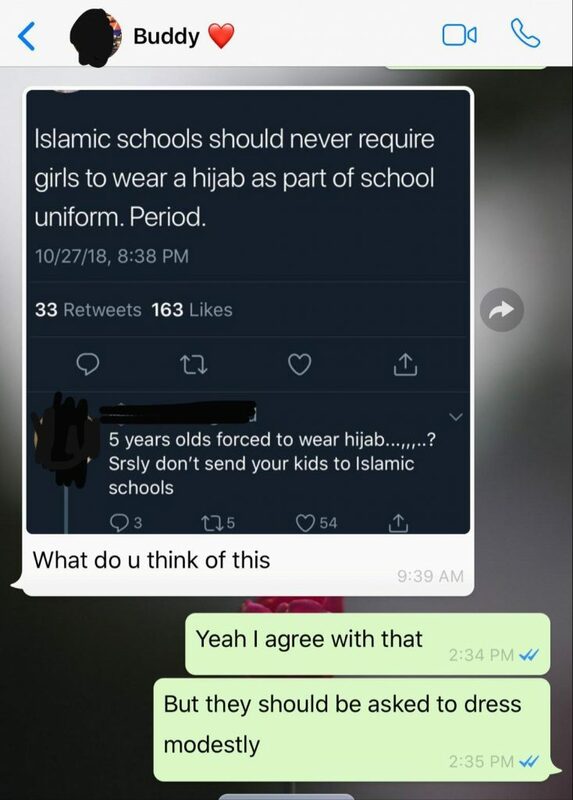 While it is very important that one should choose the hijab herself due to her own religious conviction and submission to please God alone, Islamic schools are trying to create an Islamic environment for All the students there and thus the dress code. Also, where do you draw the line? what if someone doesn’t have enough conviction to be wearing modest clothing? Should he/she be allowed to dress as they feel comfortable until they themselves want to dress modestly? From my personal experience (I went to public school), it is definitely very hard to be the only one practicing the hijab. I tried to do so in middle school initially at my parents encouragement but I wasn’t able to. My hesitation was mainly rooted in not seeing anyone of my age practicing it, so it was hard for me to take the first step. Eventually my parents took me to ladies halaqa circles where I saw many Muslim girls (they homeschooled) and they were practicing the hijab. Just hanging out with them once a week and reading the religious literature together gave me the encouragement I needed to start my hijab journey which I started in 9th grade. So, considering that, I’d think seeing many girls doing hijab in Islamic school should make it actually easier to do. Maybe the reason girls who don’t want to do it have more to do with the rest of their environment? Maybe they see their peers not doing it and they see their guardian figures not doing it and thus they consider it “optional”? So when they are told to do so while attending an Islamic school it feels like a burden to them? Dressing modestly and wearing hijab (particularly head covering) is not necessarily the same thing. Hijab is religiously sumbolic whereas dressing modestly is required on many different occasions even from people/organizations/schools without any religious reasons. Besides, what worked for you doesn’t work for everyone else. We need to stop taking our personal experiences and using it to draw general rules for everyone else. Sister I feel your concerns absolutely but as Parents and Teachers, we ARE supposed to enforce morals and modesty upon the Muslim children whether they fully grasp the meaning behind it or not. We are supposed to explain the why and reasoning behind it too. That is the point of Islamic schools to begin with. To provide the knowledge and the environment to actually practice the morals and teachings of Islam. The “modest” dressing can be interpreted in many ways. I have been a former teacher at an Islamic school and so I have also witnessed the issues quite closely. There were some students who didn’t like to be forced to wear loose fitting uniforms. They thought wearing fitted clothing as long as it covered skin was completely fine and the biggest reason for that was the role models in their life and their many peers dressed in that manner, and not because they wanted to rebel the school policies. The school policies didn’t drive these people away from hijab it was the rest of the environment that did that. 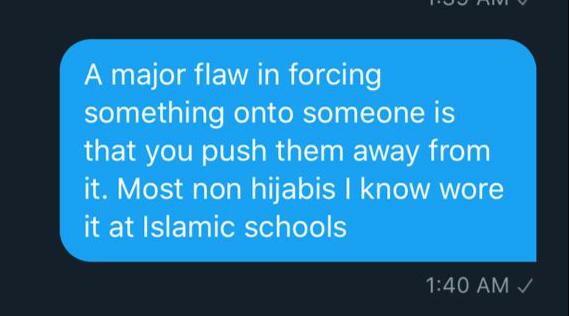 The videos they watched on YouTube, the people they socialized with on social media and trying to impress them are the biggest factors in driving someone away from hijab, not school uniforms. I have seen girls leave from Islamic school and take off hijab immediately as they entered their cars where their moms or female gaurdians were also not practicing it. These girls always saw this as an “optional” headwear due to all the other environment, and thus even making it “optional” in an Islamic school will actually only serve to solidify that false belief. “Hijab must not be THAT mandatory that it isn’t even required in an Islamic school” will be the next argument. Moreover, I don’t understand why all this talking to the girls and clearing their doubts regarding beliefs and hijabs cannot be done simultaneously. They need to learn that certain things like practice of public morality and modesty aren’t up for debate, but that they may ask questions and clear any and all doubts regarding it. Also the argument you are making against the hijab policy can be made regarding any and all obligatory acts that the Muslim children don’t want to do. Kids don’t exactly love praying 5 times a day, are we to stop forcing them to do so by punishing them with grounding or taking away screen time etc? I am also pretty sure kids don’t like making the ritual ablution, so should we allow them to pray without it or touch Quran without it? Why is it okay to force them to pray whether with “conviction” or not, but not okay to enforce hijab as part of the Islamic uniform? Morality is a public issue not just a personal choice. Hijab is as public form of worship as it can get. A non Muslim woman not wearing hijab doesn’t mean anything but a Muslim woman not wearing it, does contribute to an environment where non compliance is an accepted norm. Hijab is difficult to wear because of the culture that celebrates immodesty. By us removing any environment where it is not celebrated, we contribute to the problem, not the solution. Islam regulates both personal and public affairs and specially those personal choices that impact societies. We don’t talk about conviction and iman when we obey secular laws but when it comes to religion, it becomes a danger to the faith. The problem is not Islamic having dress code, the problem is parents thinking sending kids to Islamic school is sufficient to give them proper identity and belief while they binge watch Netflix, listen to music and post selfies on Instagram. Insufficient Islamic upbringing causes doubt in faith, not just forcing hijab. It doesn’t have to be one or the other. We can’t reside kids glorifying their looks and tell them one day btw hijab was required and we also can’t say just putting on cloth on head and sending to Islamic school is sufficient. * We can’t just put on a piece of cloth on head and send them to islamic school thinking that should be sufficient. * It doesn’t have to be one or the other or one after the other. * Parenting is hard. Problem is in parenting, not forcing Hijab. Its lack of proper upbringing. I would appreciate if you leave the difficulty of wearing hijab to be judged by women. You can’t speak about something you have never done. And yes we don’t need conviction to obey secular laws, but our conviction in matters of faith is pivotal because that decides our eternal destiny. Very respectfully, the question & this article is revolving around is not about wearing Hijab by an independent women. It is about at the level of teeange and in Islamic Schools. So multiple parties can comes to discussion the girl, school administration & most importantly parents. Wow. Jaza kaLlaah Khair Sister for this amazing article. I was genuinely scared by the boy’s way of thinking. Such colourful vocabulary. I ask Allah to open his heart to see that the world isn’t so black and white. Whoo, here come the barrage of comments from well meaning brothers. This article hasn’t been published an hour, they’re here already. I look forward to the same amount of comments concerning genocide or even *gasp* domestic abuse, and how brothers will stop other brothers from abusing their families and catcalling women on the street. 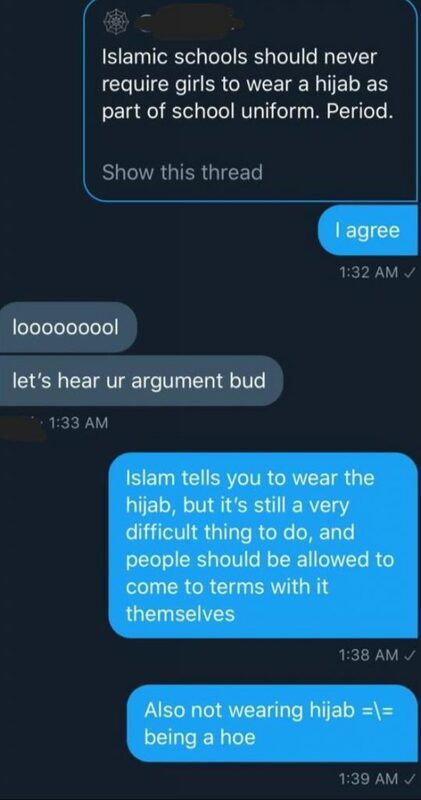 Let’s face folks, having an opinion on hijab is easy, that even the most moronic can produce. No man will ever understand the difficulty of hijab, and unless you’re a sheik, your opinion can only spread fitna. Did you even read the comments to their entirety? BTW I am a hijab practicing sister. This whole argument is a strawman. Girls who are “forced to wear hijab” is defined How? Girls who vocally do not want it and clearly don’t have the moral groundwork to carry it? So bacisally: these same girls have clearly not been taught their deen on any deep level. And they aren’t being forced to observe hijab, they are being forced to put a scarf on their head, as true hijab requires intention. The reality of our deen is that as parents, and as fathers in particular, there is absolutely an obligation to enforce Islamic morals and behaviours. If our children refuse to pray at 10, we are to physically punish them until they do. We aren’t told to wait till they sort it out themselves. Now: the ground work should absolutely be laid long in advance. They should be taught the prayer for at least 3 years BEFORE it becomes mandatory, but it does still become mandatory regardless, as once they are baligh they must seek any information they lack themselves. A woman’s prayer is not in order without hijab. So how does one get a female child to pray at 10 without also “forcing” her to wear hijab? If she is attending an Islamic school in which salaat is held, how is she to participate? We know hijab is obligatory for salaat, and simply removing it after is hypocrisy, so there really is no other acceptable answer. The TRUTH is that Allah is the Turner of hearts, all we can do is remind. 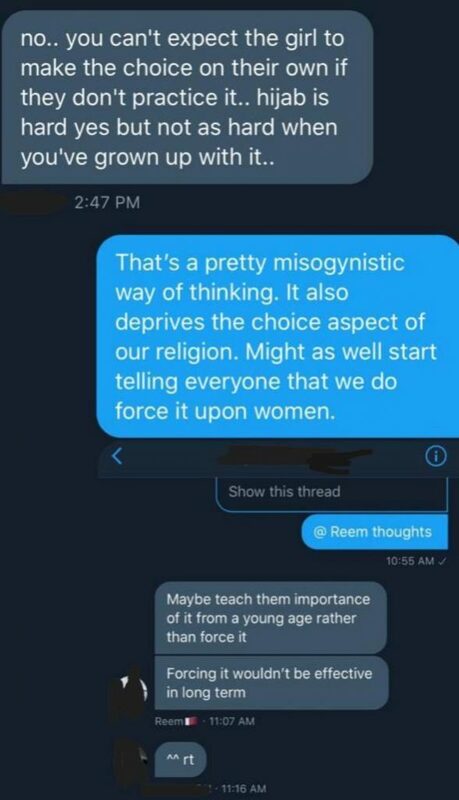 No amount of encouragement and educating will instill Islam into a heart Allah has hardened, but that doesn’t lift our duty to enforce the sharia where applicable, and hijab for all past puberty is one of those areas. Wearing hijab during prayers is not the same as wearing hijab every time a girl steps outside her house/interacts with non-mahrem! It’s an Islamic school. Wear it at school. Don’t wear it at home.or after school if you don’t want to. The only place Muslim girls will see other women wearing hijab, conforming to the rest of society’s standards, is making it that much harder for these girls to wear it then. This is making hijab too individualized. I also think the article overestimates young girls’ abilities to decide and have the willpower to start wearing hijab on their own with zero encouragement from a school/Muslim environment. I was 10 when I started and it was hard but at least I knew when I went to class my friends would be wearing it too. Eventually I got over it. Seriously, left to my own devices, raised here in Seattle, when would I have EVER started wearing hijab of my own will? I don’t think so! If you read my article carefully, you would realize that I never said leave the girls on their own with “zero encouragement” from islamic school or teachers. I clearly stated that teachers should and must encourage girls to wear hijab, and talk about why they need to wear hijab. Teaching with wisdom and patience is what I emphasized on. By the way, I agree that kindergartens shouldn’t wear hijab . That is simply ridiculous and unfair. At my school girls began to wear it in 4th or 5th grade which I believe is a very appropriate age. Jazaki Allahu Khayran for this very thoughtful article. 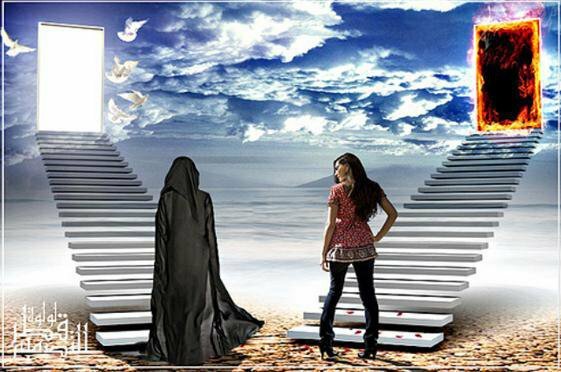 My understanding is that the ruling for khimar, the headscarf, came with the revelation of Sura Nur, or in 6 AH. Noting that the Prophet (s) was in Mecca for 13 years before hijra, the ruling for the khimar came a full 19 years after the initial revelation! Why? Perhaps its because Allah wanted to instill the roots of the religion – faith in Allah, establishing prayer, good character and conduct, into the Sahabiyya (RA) first? 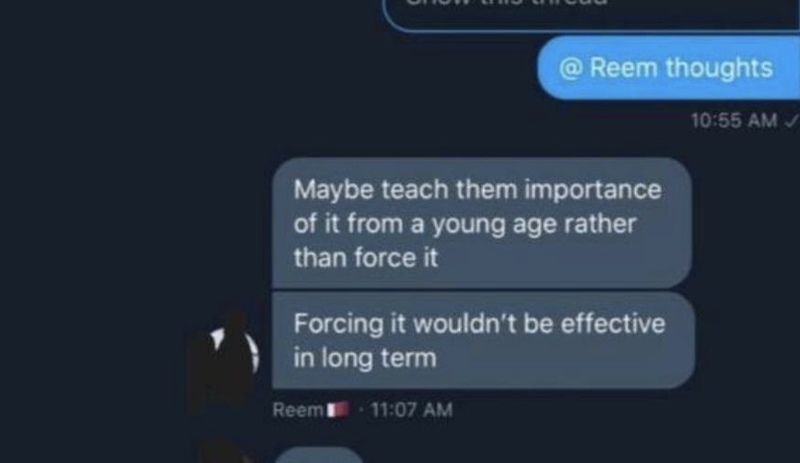 That is a good point and this is why legal and illegal laws become binding on a Muslim person only once they reach puberty, not before that, that’s 10-12 years for girls and 14-15 for boys on average. During this time teachers and parents are to instill the love of Allah and teachings of Islam in them so that when they reach puberty they are able to abide by the legal and illegal matters. The best ways are to show them by example and try your best to keep them in the company of the righteous people and in a sharia-compliant environment like an Islamic School or even homeschooling. May Allah help us all in achieving this monumentous task Ameen. SubhanAllah! Since when did the wearing of a head scarf became a determinant of going to Jannah? When I started wearing hijab (out of choice) I remember being reminded by my parents that wearing the hijab doesn’t make me a better Muslim than someone who doesn’t wear it, and I still, will have to work on my character and imaan. Even during the time of the Prophet (PBUH) the hijab became an obligation (for both men and women) around the 9th or 10th year of hijrah, long after Salah, fasting or brotherhood among the Muslims was introduced. Why? because there are things more important than hijab, one of them is spirituality. There was a saying by our mother Aisha (RA) that if the rulings for Hijab and alcohol came in the early days, no one would have followed it because at that point no one even knew who Allah was and what it meant to be a Muslim. Our focus should be to teach our children how to be a good Muslim and have strong faith in Allah, the rest comes along naturally. Every word of this article is, SubhaanAllah so true. 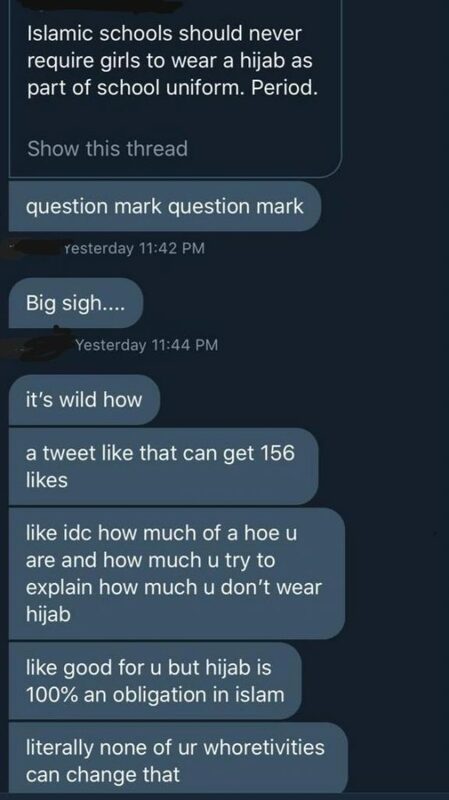 There is so, much hijab shaming around. I am a hijabi myself. And i get bullied for not joining the so called hijab cult. I know the struggle because this didnt come easy forvme as well. BaarikAllah feek Umm. I hope this message gets far and wide. Growing up in India, I started wearing the hijab in 11th grade, but I dont remember ever feeling out of place or finding it difficult. I have lived and worked in the US, traveled in Europe, attended international conferences in my line of work, all with my hijab on, and never felt any sense of discomfort.This article got me thinking. Why is hijab so easy for me? Of course, the foremost reason is it’s the Mercy and Grace of Allah. However, I feel self belief and self confidence also play a huge part in how comfortable we are in our modest clothing. It’s easier to buck the trend when you are self confident, when you are comfortable in your own skin. Perhaps parents and educators should look at ways of instilling self confidence in their kids along with the Islamic rulings. So that we raise a generation of confident Muslims who practice their Deen unselfconsciously. My personal take, discussions of misogyny and being “forced” is more indicative of inability to process the world in our own terms rather than someone else’s framework, or in believing our own apologetics. As my son is growing older, I do “force” him to wear pants that cover his knees and shirts that cover his back while he prays. I don’t allow my kids to wear indecent clothes, even though prevailing norms pressure for this. Am I forcing my kids to dress in a way I think appropriate? Absolutely. Parents of all faiths (or without them) mandate their values on their kids all the time, including dress codes. Theres nothing new about this, and the hijab isn’t exceptional in this regard either. What is exceptional is how it’s viewed in society, and how it’s wearers about that. I would agree that hijab doesn’t take priority over the fundamentals of Islam and iman, and in order for hijab and other more fundamental behaviors to be practiced from the heart, a lot must be invested in developing ones relationship with Allah so it’s sincere and authentic. That is a major part of a parents duty, as well as keeping them away from the less salient areas of society and likewise leading by example. That is parenting. But so too is telling your children how to dress. For that matter, making your kids pray at 7 and beating them about it when their 10 doesn’t contradict that there is no compulsion in religion either. Kids are made to take on religion and religious behaviors and nonreligious behaviors because the duty of parents is to teach and as well enforce practices, manners, and habits until they are adults and can then make their own decisions as adults. A slightly muddled set of thought processes here. Ok this is complete emotional nonsense. So nobody can empathise with anyone else eh? The hijab is being utilised as a school uniform and should thus be considered as an entity along these lines. There are plenty of schools that “force” girls to wear skirts and tights to school. What about that? And this an Islamic school no less. It would be interesting to know how you police “modest clothing”. How short is too short? How tight is too tight? You are enforcing other standards in this context. Assalamualaikum,So I am single guy & this Hijab debates is pretty interesting. No doubt, girls think that its a social demarcation between two kinds & if they would adopt it, desi culture wont judge them or they may purely doing it for the sake of Almighty. I have a question, Can parents force them to wear Hijab ? If parents believe in that & if they look after that girl ( financillay ) then I think they can make such decisions for her ( as we see in medicine that parents call for treatment options ). No doubt, an introduction to God first would let the child adopt Hijab or Niqab easily. People need to remember that our children are our flock. We are shepards and will be asked about them on the Day of Judgement. Everyone knows about the hadith that talks about telling our children to pray at 7, and beating them (lightly) at 10 if they dont listen. Thats before puberty and we are told to force prayer on them. At that young age they cant be expected to pray on free will. But we force Salah upon them in order to make them get used to it when they reach puberty. We also teach them about islam so they learn why they should pray etc so that they do it willingly when they reach puberty. The same can be said/done regarding hijab. We should, yes, force our children to cover their awrah to let them learn modesty and get used to it. The reality is that we have become desensitized to immodest dressing, to the point that we find the concept of covering to be strangeand odd. But the reality is that these women walking with jeans are practically naked. I can literally see your awrah, except the skin. The form is blatant. Its absolutely disgusting and filthy. Even if people refuse to say it. Let the people hate how we raise our children, we shouldnt care to please them. It is Allah that matters, not the pleasure of the fuel of Jahannam. May Allah make it easy for the muslim women. There are muslim who have been made comfortable with the idea that Islam accommodates their every ideological commitment: liberalism, feminism, secularism, social justice identity politics, etc. The idea of submitting and reigning in one’s emotions and sentimentality in accordance with the Sacred is completely foreign to them. The tarbiya that is so critical to spirituality and getting closer to Allah is completely absent.But Muslims can’t remain sheltered forever. They slowly start realizing that things are not what they want them to be. They start resenting other Muslims and begin to lash out, calling them names: “extremist,” “wahabi,” “misogynist,” etc. 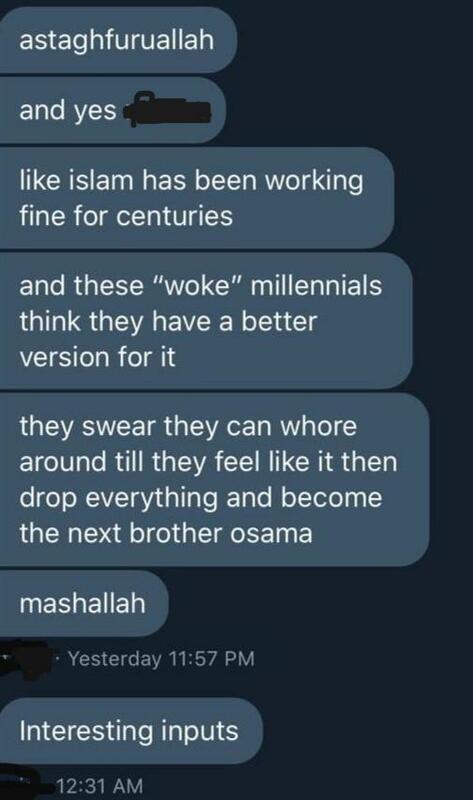 Many of them become very bitter, burn out, and some even leave Islam. For example, you probably think that that hijab (covering awrah) is a personal choice. which means that wearing it is no more or less meaningful than wearing a swimsuit.If all one cares about and celebrates is choice, then choosing to wear the hijab is equivalent to choosing to ditch it. Or choosing to wear something else entirely. It’s all choice! But in reality, hijab is anything but choice. It is fard. I’m so glad you wrote about this, Umm Reem. It’s something we muslim parents need to talk about more. When my girls were younger, we had lots of conversations about hijab and it being fardh, and that it starts becoming obligatory after a certain age. My older child kept this in mind and decided on wearing the hijab when it became fardh for her, and I assumed all was going well. After wearing it for 2 years, she told me that she wore it only because she didn’t want to disappoint me and that she wanted to go for a year without it. I was shocked, both by her not opening up to me initially and by her decision to remove it. Although I had left the decision up to her and not forced her, i realized that the expectation she must have felt from me must have been strong. And here I thought I was doing the right thing by providing the information and letting her make her own choice. Didn’t really work out the way I hoped it would. At the moment, I treat our stage of Islam in our house as “the ‘Makkan period” in Islam. In the first 13 years, many of the surahs that were revealed to prophet Mohammed focussed on building the faith of the fledgling Muslim community. The ahkaam of hijab and many other commandments were not revealed until this faith had build into something much stronger. So we focus on reading Quran and ahadith, establishing our salah on time and making dua. Hopefully, Allah will forgive my weak tarbiyyah that failed and give us strength, ameen. 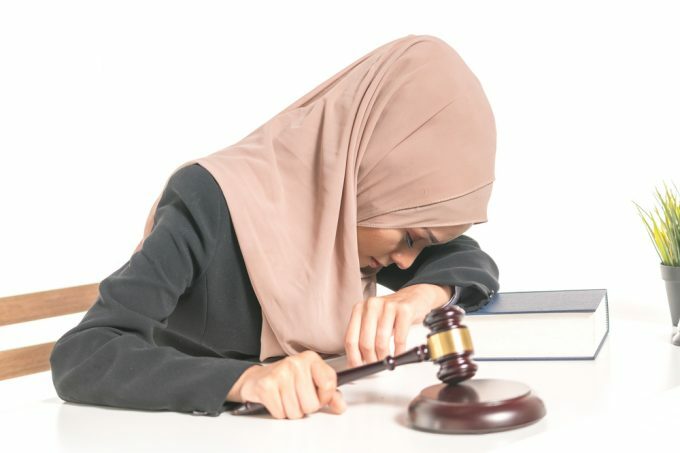 I have been accused by my never-present husband that I “must have been too forceful in my emphasis on hijab” and that’s why the girls don’t practice it. But that’s just one more male assumption that I have to deal with, which adds to the difficulties and pressures of being a woman. As both his daughters and I know that his assumption is untrue, I don’t worry too much about it. Coping mechanism :)! The hijab is now synonymous with Islam. Let’s imagine, for a moment, that hijab– strictly, the covering of hair and/or face– is eliminated from Islam altogether. What is left? Indeed, that is the question. Without hijab, we either have a rich, complete religious tradition or we have a shell. You decide. Think about it. Would you have the shell, or would you still have the whole package, if your conviction for or against that hijab were to vanish? I was brought up thinking hijab was good but optional.Before hijab our parents always emphasised modest loose clothing but just never forced the scarf. I never realised until my late twenties it was actually fard. Once I knew that I started wearing it which was a bit scary at first but have never wanted to remove it since. So when I hear about girls who know it’s fard but don’t want to wear it I don’t understand. I can only put it down to not fully realising the significance and only Allah can open your eyes to that. But I don’t think you should wait for that before wearing it. Example from home is a big factor. Its weird my mum always wore it going out but I never thought I should too it just seemed cultural. May Allah guide all our brothers and sisters, our children and parents, Ameen. But in regards to the tweets I think 5 is a bit young maybe from 7 should be uniform.